Eudora email application is part of many investigation cases and studying its file structure and viewing email contents has been a challenging task for many investigators. Eudora application while setting up stores many details in the system. Being desktop-based email client, Eudora also stores emails in specific email file. This file can be acquired and the data in it can be analyzed for examining emails, which can lead to evidence, or can be proved as evidence itself. However, in order to analyze Eudora emails it is important to know about MBX file format in terms of forensics first. Eudora application supports IMAP and POP Mail accounts and for both of these configuration emails are stored in the system locally. IMAP accounts usually implements downloading of emails saving it on the system where the account is configured in Eudora application. Emails belonging to these accounts are stored on server and then downloaded to the desktop email application. “Dominant” directory available as top directory stores the mailboxes for IMAP accounts. In order to analyze the emails of Eudora, firstly it is important to understand the email file format and locations of the email storage files for POP and IMAP accounts. Note: It is not necessary that the emails will appear in these default locations. Eudora provides an option using which the directory of the email storage can be changed. 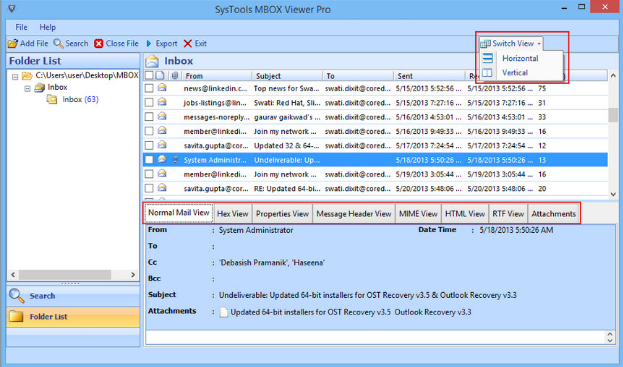 Once the emails are extracted from these locations, the emails can be viewed using professional email viewer which is SysTools MBOX Viewer. This is because the MBX file is not supported by all email platforms and it cannot be opened directly. In such situation, it is important to use a professional Eudora email viewer, which helps to analyze the emails completely. 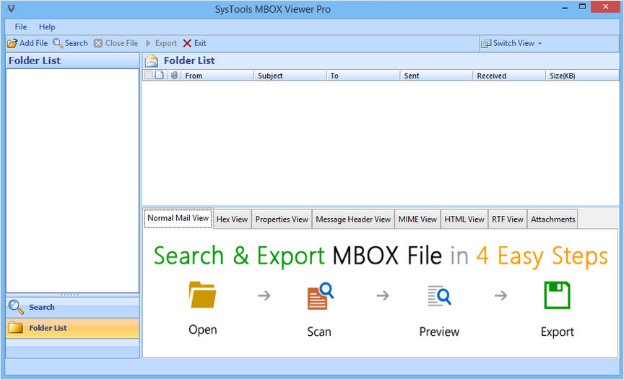 Professional application like MBX Viewer can be utilized to perform thorough analysis on the MBX file. How to Analyze Eudora Mailbox Using Eudora Email Viewer? Step 1: Successfully install and configure the Eudora Email Viewer in the system where MBX file is located or has been copied. Step 2: Click on Add File option in order to open the Eudora MBX file to the Eudora mailbox viewer software. Once the Add File option is clicked, a pop-up will open where you can click on Browse option to navigate and add the MBX file. 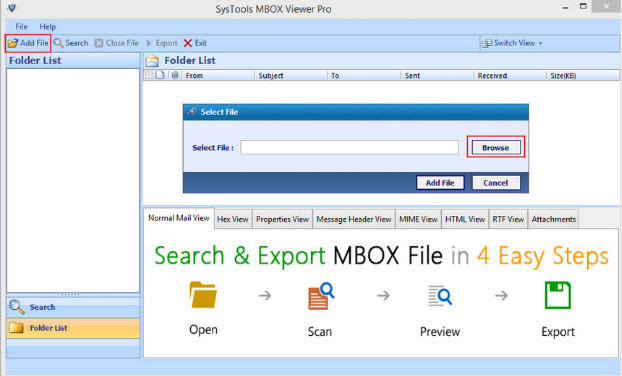 Step 3: Software will list all the emails of MBX file. It will show all the emails along with the technical properties of emails, which can be crucial forensically. Emails can be probed thoroughly and viewed individually. Attachments of emails, which are forensically important, can be also viewed using the software. Multiple MBX email files of Eudora application can be viewed using this Eudora email viewer by adding these files one by one to it. This professional utility provides an intuitive interface to investigate multiple emails in bulk. It gives a perfect platform to interrogate multiple Eudora application emails and presumes to be one of the best Eudora email investigating kit. A profound investigation done on the Eudora application emails using this tool can lead to trace evidences.